Do you really know how many posts you see on social media, are actually paid advertisements? Social media is now more than a place to stalk your ex-classmates and post photos of your kids. It’s quickly morphed into a highly effective advertising platform. Brands are paying top dollar to ‘social media influencers’ (yes that’s a real job now), to post about their products on Facebook, Instagram and other platforms, in order to get you to buy their stuff. But there’s a really big problem with all of this when it comes to influencing in the health and wellness industry. Many influencers are posting dangerous information, and are neglecting to tell their followers that they are in fact getting paid to promote health products. An influencer is a person with a large social media following who has the potential to reach a large amount of people with their social media posts. Someone who ‘influences’ a person to take action. After quite a few years on social media, and almost 80,000 followers across Facebook and Instagram, I’m now classified as an ‘influencer’, unfortunately. Traditional advertising has now changed. Brands no longer pay for ads on tv or radio, or a spot in the local newspaper Now, they pay influencers to advertise their brand on social media, in what they consider to be a more natural and ‘authentic’ way. Influencers have a highly captive, trusting and niche audience that brands can easily tap into. Brands pay top dollar for influencers to post about their product – be that alcohol, gym memberships, children’s toys, supplements, protein powders and even alcohol. Up to $500,000 for a few posts if you’re Kim Kardashian, or approximately $400 per post if your number of followers is measly like mine in comparison. The higher the number of followers you have, the higher you can charge. Influencers are gobbling up this opportunity to make money, and can you blame them? As an influencer, there are apps you can log into each morning and scroll through all the assorted campaigns listed by brands who are offering money to pay. To help explain this, I will share my experience. Recently I logged on to the popular influencing app (I won’t name names). I scrolled through and found a well-known multivitamin company was looking for influencers to post about how ‘bright and full of energy’ their day was, after taking their multivitamin. Realistically, I could have quickly popped some mascara on, a bit of lip gloss, taken a stylised and heavily filtered selfie in bed with a cute sleepy-but-energetic smile. I would then upload this photo to my Nutrition Guru and the Chef Instagram account as a new post, along with a caption such as ‘Taking my <Insert brand here> each day makes me wake up with vitality and energy’. And for that single post on Instagram, I could be paid up to $400.! I wouldn’t even have to actually like or use the product. I could do three posts like this a week, and make $1200 a week without even having to leave the house. Alarmingly, we trust influencers. We believe them. Often when we’ve been following them for a while, we feel that we know them. We are enthralled in their lives, because we view their lives on our phone, not 1 foot away. So, when they look beautiful, talk about amazing things, and seem to be posting about a beautiful glamourous life (aka their highlight reel), we want the stuff they’re having. Because if we buy what they’re having, we can have a life like them. We want the multivitamin. We buy the multivitamin. We want that detox they were on yesterday. We want the protein powder they’re chugging down because they tell us we need it. My issue is, there are so many influencers (not all) who don’t actually disclose that they are getting paid to post about a product. Or, when they do, it’s hidden among 40 other hashtags way down the bottom of the post, where no one looks (and certainly no one sees). They hide them on purpose, so their followers can’t see that it’s a paid advertisement. And the issue with the above hastags? They mean nothing to the average person. Very few people comprehend that #collab means ‘I’ve been paid to post about this product’. It’s deceptive to use such vague terms. And it’s unethical to intentionally deceive people. Even more so if you are a health or nutrition professional. Currently, on Instagram there are 7.2 million posts using the hash tag #ad. Given that many influencers are not even declaring their payments by using this hashtag, the number of ads on instagram would of course be much higher than this. And get this, many influencers go so far as to not even use the hashtag #spon for sponsored, they simply use the letters #sp. Take a look at the example below, where I’ve used a red arrow to point to the hashtag to look for. A lot of influencers are not disclosing their payment and therefore treating their followers like muppets, and that’s unethical. It’s deceptive to not disclose being paid for promoting health products, and it’s deceptive to be using wishy-washy terms such as ‘collab’ (if they are being paid), because most people would have no idea what that actually even means. When it comes to people’s health, deceit is undeniably highly unethical. The public should always have the right to make their own informed decision (it’s the basics of bioethics), and deceit strips them of that right. The issue is that no-one really even needs these products that are being marketed, even though the posts are very cleverly scripted to make you feel that you DO. Influencers often appeal to you by accompanying their post with a revealing story about how the product has ‘changed their life’, or it’s their ‘favourite product’ (yeah right). What I find even more deceitful is when they pitch their product to you as being a superior or healthier choice than other products, when in fact it’s none of those things. Instead, it’s simply the product that will pay them to post. An income for them. I’ll be running a webinar for health professionals soon, on the ethics of social media – stay tuned! 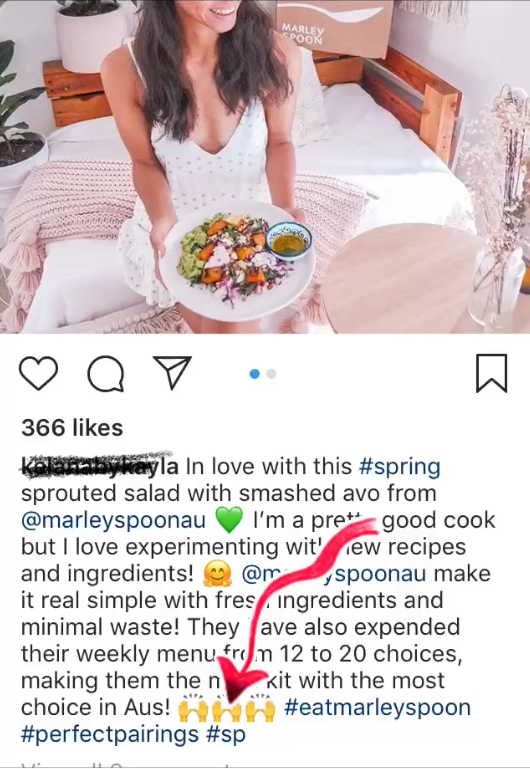 What’s really frightening is, you don’t need a qualification to have an Instagram account and teach people about health or nutrition. Some products are risky (hello weight loss diets and supplements) and could harm, but because the influencer has no qualifications in health or nutrition, they can be blissfully unaware of these risks and therefore neglect to notify their followers of the risks (such as dosage, medical conditions, side effects etc). Often, influencers are actually posting medical information about a product that is often incorrect or has no scientific basis, scripted for them by the company’s advertising and marketing team. At best this info a whole lot of piffle and nonsense, and worst case – an outright lie. And because I spend a lot of time on social media following wellness influencers, I can assure you I see a lot of worst cases. Did you know: Influencers don’t have to tell their followers that they are getting paid to do a post? Recently in Australia, guidelines were released which outline that when receiving money for a post, this ‘should’ be disclosed as best practice. However, these are simply guidelines not mandatory rules, and there is regulatory body regulating or enforcing this guideline. If a nutrition professional (such as myself as a qualified nutritionist) gives dangerous advice that is not evidence based, that causes harm – there are major repercussions. Whereas, if an influencer gives incorrect information that causes harm to a person, they are not held responsible and there are no legal repercussions. Whatsoever. In other words, wellness influencers can make $hit up, and it doesn’t matter if they do. I don’t have a problem with people being entrepreneurial and turning to influencing for an income. If you get paid to post about T-Shirts, lipstick or saucepans, good on you. No harm done. don’t put the fact that you’ve been paid, at the very bottom of your post where no one will actually see it. This is deceiptful. and you certainly better be 1130% certain that the health and nutrition advice your dishing out is correct and won’t cause any harm to the psychological or physical health of your followers. SIDE NOTE: It’s important to note that I believe there are many influencers in the health industry who are doing good work, and who are declaring when they do get paid. Come and follow Tara on Instagram and Facebook to read more about the influencing industry. 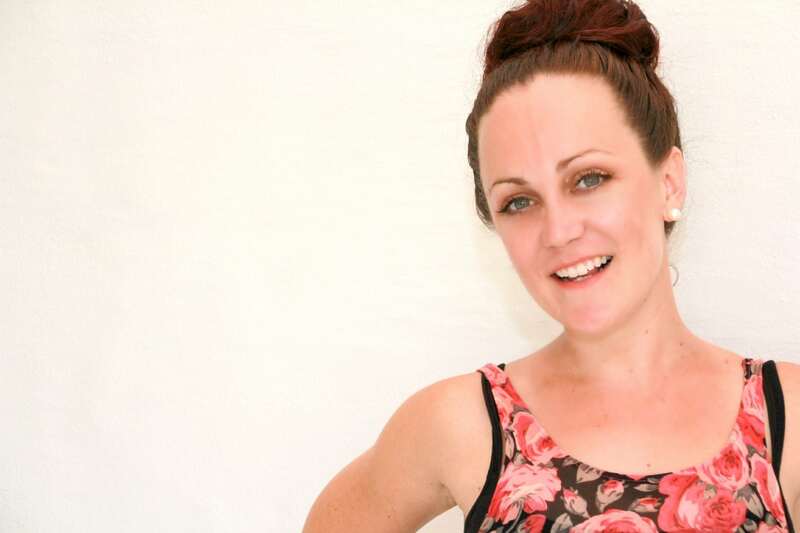 Tara is one half of the dynamic foodie-duo ‘The Nutrition Guru and the Chef’. A qualified Nutritionist and University lecturer, Tara is renowned for her no-nonsense approach to nutrition and health. A self-confessed social-media addict, when she’s not busy busting diet myths online or helping people learn to love food you’ll find Tara eating her way through the foodie scene where she lives on the beautiful Sunshine Coast.